Journey® establishes high school students as lifelong disciples through a deep study of God’s Word, mobilizing them to live with godly perspective and evident faith. Four complete years’ worth of material supports your 9th-12th grade high school ministry. Additional products, training materials, and awards are available. Journey is a multi-year high school ministry curriculum with 4 main studies. 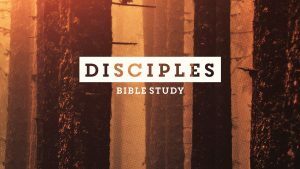 Learn more about first two studies, Disciples with Josh Griffin and Advocates with Sean McDowell. Journey: Disciples is the first book in a 4-year high school curriculum series from AwanaYM. Experience Journey: Disciples firsthand by downloading a free lesson on Prayer! Download a PDF sample from the Journey: Disciples lesson on Prayer. This lesson is the ESV version. You will have the option to order ESV, NIV, KJV and NKJV. 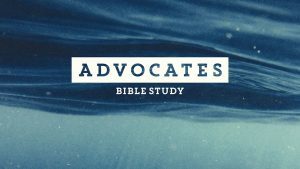 Advocates considers what it means to hold firm to biblical convictions and still engage in humble dialogue with the culture around us. Join Sean McDowell, a leading apologetics and worldview author, and AwanaYM in this high school curriculum series. One of the requirements for a Journey student is to read the Old Testament books of the Bible. We have divided the Old Testament into four fairly equal groupings of books. You will find the list of the year’s required books in your Bible Studies. However, you do need to know how the books fit together to form the Bible’s “big picture.” For that reason, you will find the summaries listed here in biblical order. You may know your books of the Bible so finding the summary you need won’t be difficult. If you don’t know the order of the books, match up the number in your Bible Study with the number of the summary. We have included Bible Reading Checklists at the end of the summaries below so you can keep track of what chapters you have read. If you would like, you can download/print the Bible Reading Checklist and stick it on your mirror or in your Bible to have it handy. When you have completed the book reading, you will need to sign on the signature line in your Bible Study. You then need to summarize the book in your own words to your leader. (This can include the theme, author, key verse, date and events/characters written about in the book.) Don’t just memorize the summary that’s here – you’ll need to summarize in your own words. Your leader will then need to sign on the signature line next to the book in the Bible study. This will signify that you read and summarized the book. Download the Journey Parent Guides so parents of your students can follow along and engage with the discussion. With a new Journey curriculum coming, we know there are many questions. Here is a list of some of the most asked questions with answers. Does the new book cover the entire year? Yes. There are 32 lessons included in each of the study books. Will students be required to access the internet to use this curriculum? Each lesson has a student video component that is accessed via the internet. This is the only portion of the study which requires internet access. How are the units broken up in this new curriculum? There are 32 weeks of lessons, with 8 units comprised of 4 lessons each. There are no review weeks like there are with Trek for middle school. Is scripture memory still a requirement? If your student is working to earn an award, they are required to memorize the “Core Scripture” from each week’s lesson in the Student Bible Study. Is the Bible reading requirement still the same for those working towards earning their citation award? Has the service/training/bring a friend requirement changed? The service and Christian training requirements have not changed. The bring a friend requirement will change slightly to make that experience more significant. Beginning this fall the requirement will be to have one spiritually significant gospel conversation with a non-believer. Do students using the Essentials book qualify for the end-of-the-year award? No, but they would receive a Journey Essentials Certificate. How much more work is expected from students each week? Each lesson is broken up into seven days of study. With the exception of day seven, which would be their group meeting, each day is designed to take about 15 minutes to complete depending on the student. Is a copy of the videos available on a DVD? Not at this time. We are researching the option to make the videos available in the future on DVD. At this time, they are only available as a download. What versions of the Bible are used in the Journey curriculum? 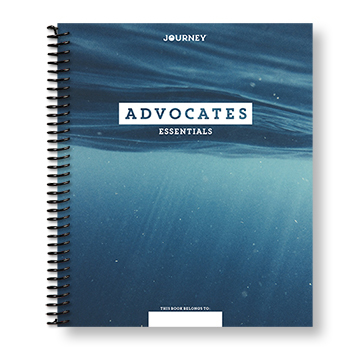 You can order your Journey materials with the following versions: NIV, NKJV, KJV, and ESV. Does the Journey curriculum include parent guides? Yes. 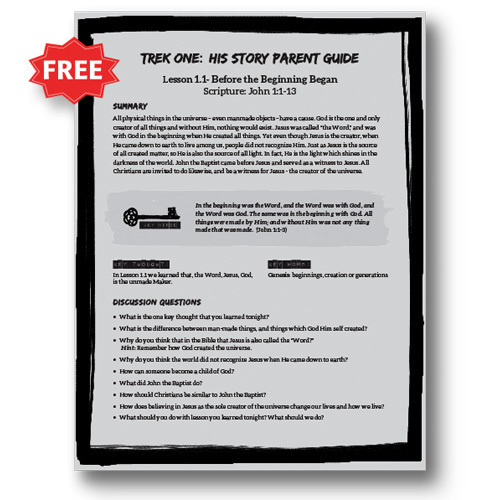 The parents guides are available to you as a free download. Yes. Students already working toward their citation award under the older Citation Checklist should continue on the Bible reading track with which they started. Students new to Journey should begin with the new Citation checklist which has them reading the New Testament books in Trek and Old Testament books in Journey. . The Bible reading rotation has not changed except for removing the New Testament books. Another resource we have for students in your youth group is Journey, Essentials. This version of the Student Bible Study is recommended for students who have just started their walk of faith or are only beginning to understand some basic Biblical concepts. This book trims the content from the Student Bible Study into two quick pages per week and offers you the flexibility to lead your whole youth group in the same lesson at a customized level for each student. The Leader Guide has everything you need to plan your large group lesson and facilitate life-changing small group discussions with your students. The Leader Guide includes videos that explain the week’s lesson and provides tips on how to maximize the curriculum for that week. Also included is a fully customizable powerpoint slide deck which allows you to use the content provided, or write your own. 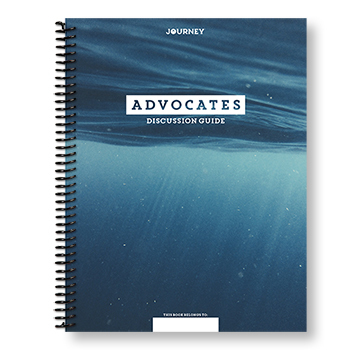 For your small group leaders, we have created a Small Group Discussion Guide to help them lead conversations built around each week’s topic.